Is It Safe to Burn Poison Ivy, Poison Sumac & Poison Oak? Suffering from a difficulty in breathing, painful rashes, fever, nausea, vomiting, and swollen lymph nodes? Chances are, poison ivy is the culprit. Contrary to popular belief, simply coming in contact with poison ivy won’t necessarily affect anyone, not unless s/he is allergic to it. However, there are various ways an allergic person can be affected. One of these is through the inhalation of fumes from burning poison ivy. Poison ivy produces a skin irritant or oily organic compound known as urushiol that affects most but not all people. Systemic poison ivy is the extreme allergic reaction to urushiol coming from poison ivy, oak or sumac. The oil is also found in other plants belonging to the family Anacardiaceae, especially those in the Rhus or Toxicodendron genus like poison ivy. 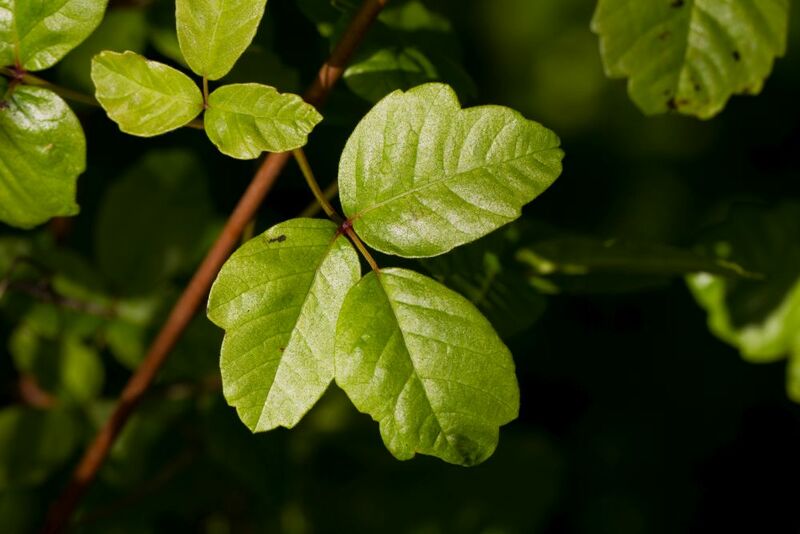 Burning poison ivy (or poison oak or poison sumac) carries the oils through the air. Therefore, inhaling the smoke can cause rashes to appear all over the body, including inside the mouth, on the lips, and other areas, depending on the extent of one’s exposure to the fumes. The more extreme reaction, however, is caused by the rashes developing along the lining of the throat and lungs, which start to inflame due to the toxin. The inflammation affects the airways and makes breathing very difficult. The oils can also travel through the bloodstream. Another main sign of the body’s reaction to poison ivy is a high fever. The body is trying to fight off the toxin, but without proper medical attention, it could reach over 100 degrees. These allergic reactions could be fatal if no immediate medical aid is administered. Here are some symptoms of breathing smoke from burned poison ivy to be aware of if you suspect you are at risk. Check it out and be informed. This symptom should never be ignored! Poison ivy can get into your throat and lungs causing inflamed airways that make breathing painful. While this inflammation can be painful enough to seek treatment, the swelling is the real concern. If you are having difficulty breathing, it is because your airways are swelling from the toxins. Seek immediate medical attention if this symptom occurs. If you’ve inhaled urushiol soot, one of the severe symptoms is the swelling of the eyes. This allergic reaction is very painful and tender to touch. It is uncomfortable and sometimes your vision may blur slightly but once the swelling and inflammation resolve your vision should return to what it was. See your doctor or an urgent care to be checked and possibly get a prescription for steroids. While you may never come in contact with the plant itself, a rash can still occur from breathing in the smoke of burning plants. In most cases, the rash will be on the inside of the mouth and the lips but may spread to other areas depending on how much smoke you inhaled and how much of the plant’s oil was carried in the air or ash you came in contact with. This may cause extreme pain and possibly fatal respiratory difficulty. Sometimes the rash develops into red bumps called papules or large, oozing blisters in some parts of your body. A fever is a common symptom of inhaling poison ivy. Any time your body is under attack, a fever may occur as the body’s reaction to the outside threat. While a fever is a normal aspect of colds, it should never be ignored when associated with a poison ivy rash. It is a sign your immune system is struggling to rid your body of the toxins and requires medical attention if it reaches over 100 degrees. 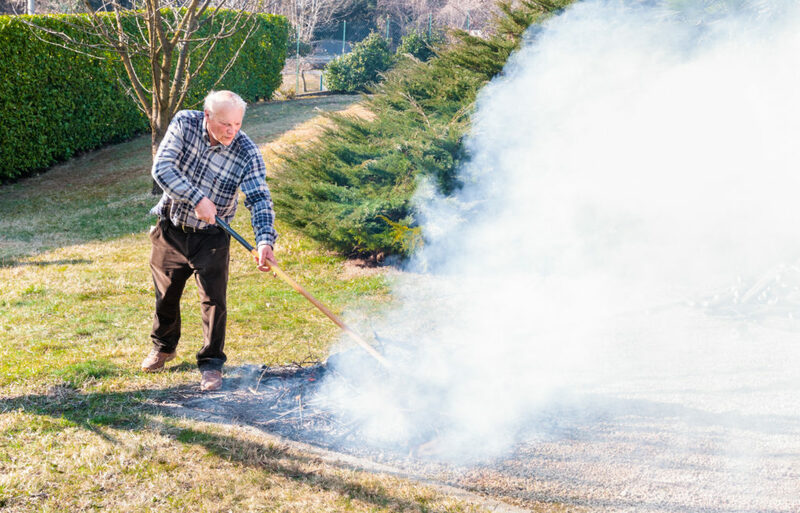 Breathing a smoke from a fire burning poison ivy, oak, or sumac is the most dangerous way to come into contact with those plants. If you think you suspect you have this kind of symptoms and inhaled burning poison ivy or oak, seek medical attention immediately. Only a medical professional can administer proper treatment in such a case. It is advised that we stay away from plants with three leaves and hairy vines or shrubs. Better if we do research and familiar ourselves with what poison ivy looks like. Before burning anything, make sure to check for such plants that might make it into a pile with other plants. Don’t just burn away! Poison ivy grows abundantly in North America so anyone living in that part should be extra careful. Not because one has proven immune to poison ivy, it means other people are. Remember, poison ivy can be carried through the air and can, in fact, reach miles. Love thy family, love thy neighbors. Dead poison ivy plants do not mean no more urushiol. The oil stays there for up to five years and remains just as dangerous if burned. Also, dried and detached brush can also still cause red, swollen blisters (dermatitis). Bury in an out-of-the-way location or a disposal site. Let it sit and decompose. Until nothing remains, it’s better to stay away from it.